In the show's 100th episode, we took a trip to the Underworld in Once Upon a Time Season 5 Episode 12 as Emma and her friends tried to rescue Killian from the death. We saw many dearly departed friends and were introduced to Hades, the new villain in town. 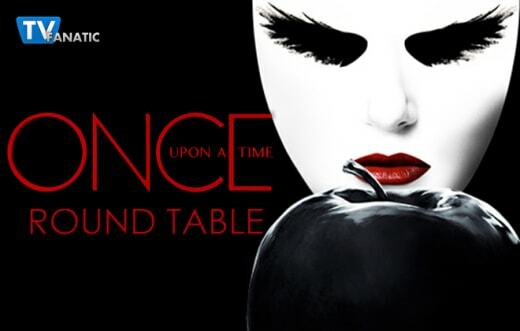 Join TV Fanatics Christine Laskodi, Allison Nichols, Jim Garner, Robin Harry, and Gareth, from Once Upon a Fan, as they talk about familiar faces, Cora's story, and the scene they loved most! 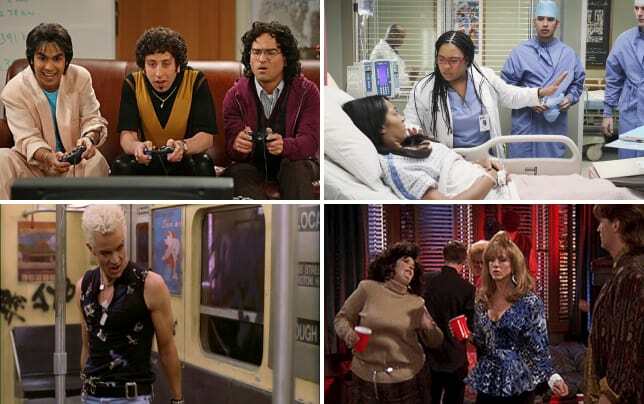 Which character return did you enjoy the most? Christine: Neal! Easily, 100%, Neal. His death was the one that hurt most, and it still seems so unnecessary, years later. I’m happy that Neal has no unfinished business, but sad because that means we probably won’t see him again. Allison: Honestly, I didn't really love any of the returns. I enjoyed seeing Neal and learning that he was at peace, but it was annoying that Emma didn't tell anyone that she spoke with him. I don't know why she kept it a secret. Jim: While I enjoyed seeing Neal and knowing he is at peace, for me seeing Regina's father Henry and seeing him meet his name sake Henry along with him going to a better place hit so close to home I was in tears the entire time. Gareth: I enjoyed seeing Cora again. I still can't decide whether she was still the same old Cora or whether she was actually acting to protect her daughter. I think she was genuinely trying to warn her about an imminent threat. Robin: I was glad to see Regina's dad again. We didn't really get that much of a chance to build an emotional connection to him, but we certainly did in this episode, and it was well done. Should this be the last we see of Cora or should her story continue? Christine: Cora’s story should ALWAYS continue. Her story with Regina has always been one of the most compelling on the show. Those two will always have unfinished business with each other because of the constant circle of love and hate between them. And on top of that, any excuse for Barbara Hershey to return works for me. Allison: I'm torn. I'm over the Regina family drama, but Cora's relationship with Hades could be interesting. She could be a way for us to understand the inner workings of the Underworld. Jim: I'm really kinda of done with Cora. While Barbara Hershey does an amazing job, we never get anywhere new. She's horrible evil and mean, her plans get foiled, blah, blah, blah... How about a new bad guy... Does she have a sister? What about her mother? Lets climb the family tree a bit. Gareth: Having Cora become the Miller's Daughter again was genius. Talk about a fate worse than death. The idea that she is forever selling flour in the Underworld is hilarious and horrific in equal measure. I think it's a fitting end for her character. Robin: Like Jim, I'm kinda over Cora. She keeps making the same bad decisions over and over and over again when it comes to Regina. The only way I want to see Cora again is if she's brought back to finally do something self-sacrificial, or do something that's actually in her daughter's best interest and doesn't involve hurting someone else. Are you willing to stick with the Underworld storyline until the end of the season? Christine: I’ve stuck through lots of memory loss and bad stories over the last 100 episodes. No reason to stop now. They always find a way to hook me, even despite the stories that drive me crazy! I think Hades is that hook for the Underworld. He already seems like a great villain, just in the two minutes we got to see him. Allison: I agree with Christine about Hades. I'm already intrigued by him. He made a great entrance. I'm concerned that we are going to drag out finding Hook. Instead, everyone will be trying to save some of the souls here. Sorry, not interested in that. Let's just get Hook and get out. Jim: As long as the story doesn't stall out or feel dragged out, I'm willing to ride along. I like Hades so far, and I'm curious where they are going to go with him. Gareth: I'm hoping that the Underworld storyline will resolve quickly. I know we have Dorothy and an Oz story arc coming up later in the season. Hopefully we will have mini arcs rather than one long story. Robin: It depends on how they write it. If it's as long and drawn out as the Neverland or Frozen arcs, then no thank you. Like everyone else, though, I'm quite excited about Greg Germann as Hades, and he's going to be fun to watch. That said, I can live without the terrible CGI blue flame hair. Was there anything about “Souls of the Departed” that disappointed you? 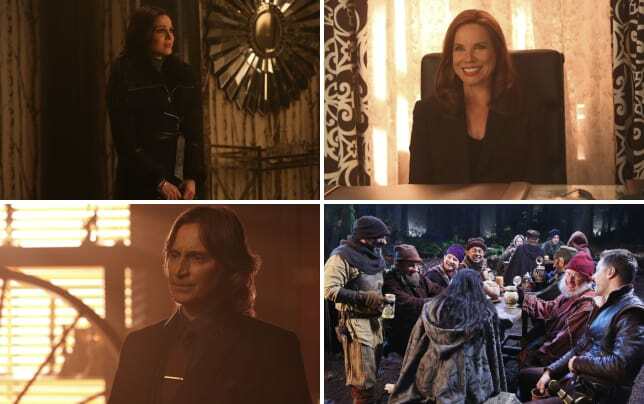 Christine: The scene between Pan and Rumple. I really don’t love that the Underworld brought back Pan. He was, in my opinion, one of the weakest villains the show ever had. The idea that he’ll try and switch souls with someone drives me crazy because I really don’t want to see him come back. Allison: I just felt like it was a lame midseason opener and a lame 100th episode. There wasn't anything special about it for me. It was a letdown. There really wasn't anything special about this episode, unless you count Neal's visit, which you shouldn't. Jim: I was kind of disappointed that they felt the need to try and explain (at length) why the underworld looks like Storybrooke. They could have left it with "this is what is familiar to us" and gone on with the story... But, clearly that wasn't enough of a reason (sigh). Gareth: Nothing. This was a really strong episode and a great start to Season 5B. Probably the best episode of Season Five so far. Robin: What are they doing with Robert Carlyle, for goodness sake? Can we give him some more work to do besides brooding and sarcasm, please?! The man is brilliant and they're wasting him. Christine: I’m a really big softy for Regina, so the scenes between Regina and her father really got me, both his asking her to keep helping others so that he didn’t die in vain and his realization that she was his unfinished business…I want to cry again just at the thought of it. I know Emma is the savior and all, but there’s just something so special about Regina’s story that always hits me deep. Allison: The one thing I loved were Regina's scenes with her father in the Underworld. Lana Parrilla was absolutely amazing in them, and I was brought to tears. Henry meeting his grandson was another great moment. Jim: I already mentioned it above as my favorite return. But, I agree with Christine and Allison, that Regina and her father getting a chance to complete unfinished business had me in tears. I would give just about anything to be able to talk to my mom again. So, even though it is fictional, I wept for joy at Regina and Henry getting that chance. Gareth: Regina's reunion with her father and his journey on to the afterlife. It was really emotional. Once is at its best when it concentrates on the core characters and their relationships. It was nice to get some resolution to that storyline and some answers to unresolved questions. Robin: Wow, we are all in agreement - Henry Sr and Regina win the episode. My favorite scene was at the graveyard. The shame that Regina felt was almost palpable, and her reaction at his voice, before she even saw his face, was beautiful and heartbreaking all at once. His gentleness towards her was so moving. Man, that was a fantastic scene. The Underworld's for people with unfinished business and that's not me. That's why I'm not there. Rumplestiltskin: Be careful with your threats. Peter Pan: Or what, you'll kill me again? Permalink: Or what, you'll kill me again?